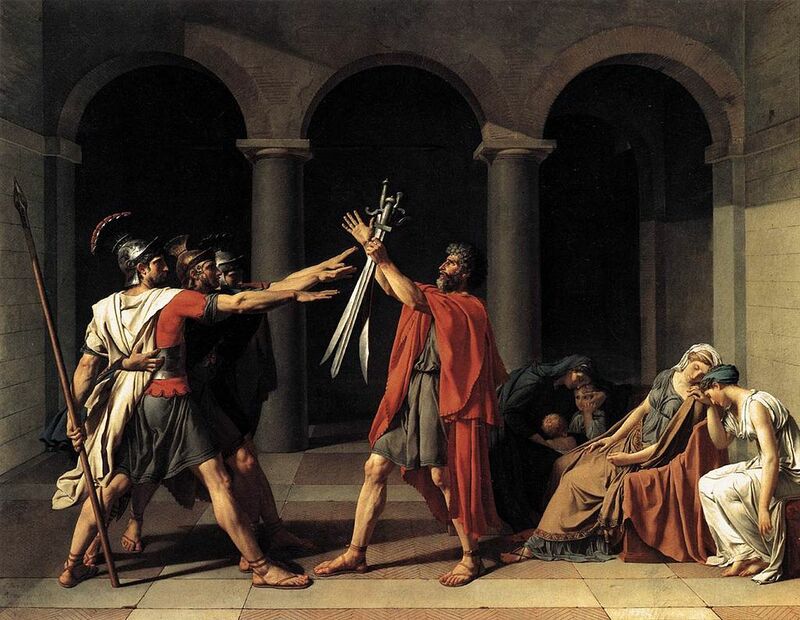 “Oath of the Horatii” by Jacques-Louis David (1784). Source: Wikipedia. Inquiry: What makes a good citizen in a free society? What makes an ideal citizen? And finally, what makes an exceptional citizen? 1. George Washington’s Farewell Address. 2. Titus Livy: Histories Book III: Ch. 26 – 29 only. This is the part on Cincinnatus. 3. Thomas Macaulay’s Horatius (from the Lays of Ancient Rome). 2. OR… you can watch Ralph Fiennes’ Coriolanus, which is excellent in my mind. Inquiry: Across time and space, why are money-lenders so universally disliked? Most, if not all, game-changing American companies (Standard Oil, Ford/GM, Walmart, US Steel, Microsoft, Goldman Sachs, Nike, Disney, etc. ), once hailed as a mark of human genius and innovation, are eventually demonized throughout society. So, when will today’s heroes – Google, Apple, and Facebook – be tomorrow’s villains?